I'm in a bit of a pickle and decision making is definitely not one of my strong points. Summer is here. I am taking two online classes and one on-campus class, which will leave me with quite a bit of free time. One of the many things recovery has taught me is that an excess amount of free time leaves me all alone with my thoughts and that never ends up going very well. Sure, I need a little relaxation time, but like everything else in life, there needs to be a balance between work and leisure time. Last week I applied for a job at a local golf course that has a pretty nice restaurant inside. With my background and experience in the food industry, I knew that I could easily land a job waiting tables there for the summer. With an interview scheduled in a couple of days, however, I find myself questioning whether or not taking this job would be a healthy decision. Before I even left treatment, we decided that if I was to find a job, it would not be a good idea to work with food. Now that I am farther along in recovery, on the other hand, I feel like I should be able to handle it a little better. As a way to easy my racing thoughts and poor decision making skills, I made a list of the pros and cons involved in taking this job. I realize that might sound a little childish, but sometimes seeing things on paper really helps me sort through my thoughts. Pro - I have all the experience needed for this job. There is even a good chance I could teach the other serves a thing or two. Con - This restaurant has a full bar, which means I would be working with alcohol all night. Every night. Big problem. Not sure risking my sobriety is worth any job. Pro - I have a thorough understanding of the importance of communication between front and back of the house. Con - Working in the food industry is stressful. Period. Back in the day, working front of the house meant I would be getting my work out in. Before I knew it I was in a "go, go, go" mode and was more focused on the number of calories I was burning than the customers themselves. Between lifting heavy trays and making seemingly endless trips in and out of the dining room, I knew I was burning a decent amount of calories. Pro - I can keep this job throughout my entire college career. They are willing to work with my schedule and give me more hours in the summer and less hours during the school year. Con - That much running around would definitely be an increase in my activity level, meaning it could easily affect my weight. If that does happen, I will be forced into a calorie increase, which is not cool. Pro - This job is literally five minutes away from my house and on my way to school. The location is perfect. Con - Being around food has definitely gotten much easier since I left treatment, but there is still a part of my brain that screams "RESTRICT" when I see large amounts of food like that. My brain becomes overwhelmed with obsessive food thoughts and the ungodly number of calories in each entree. So here's my dilemma - Do I take a chance and start job a that I know I will be darn good at or OR do I be cautious and look out for my health? Finding a job with that many perks in this economy is rare and I hate to complain, but what if I can't handle it? Recovery is about stepping outside of my comfort zone and pushing the limits; however, recovery is also stepping away from situations that are potentially harmful. 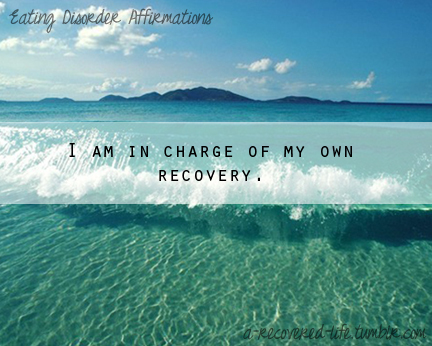 This post makes me feel like I am taking a step backwards in my recovery. A part of me feels like I should be able to handle this by now. It's just food, right?! Not so much. Maybe it's time for me practice what I preach and do what is right for my health, even if that means my job search will continue. hm looks like a tough choice because there are great pros and cons. However, there are a few things that stand out to me. The increase in calories that seem a bit mentally hard for you at the moment and the 'restrict' tendency. I would seriously think this over, maybe look at all your options. Working a restaurant was good for me in recovery but I was pretty far into it at the time. Good luck with your decision, no matter what it is not permanent. This REALLY is a tough decision,really. Of course,it would be great to have a job you can keep for a long time,where your working schedule can be varied according to your plans and with such a perfect location. 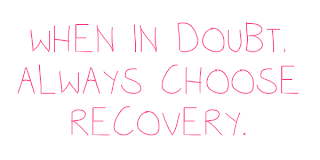 However,if it affects your recovery process in a negative way,it's definitely not worth it because YOU are more important than a job and all the money you can earn in this entire world! I cannot take the decision away from you,no one can do that,but Kelsi: Go with your guts. If you're too worried about relapsing;if you don't feel stable enough or unable to handle a possible increase in your calories,don't take the job. And always remember,college stress also is a factor that's playing a role. On the other hand,the job could be a good distraction and maybe even helpful in your recovery process because after working,you might feel stronger since you "accomplished" something that's been taking you a lot of courage. It really is up to you,just remember YOU are precious and it's all about YOUR health and wellbeing. 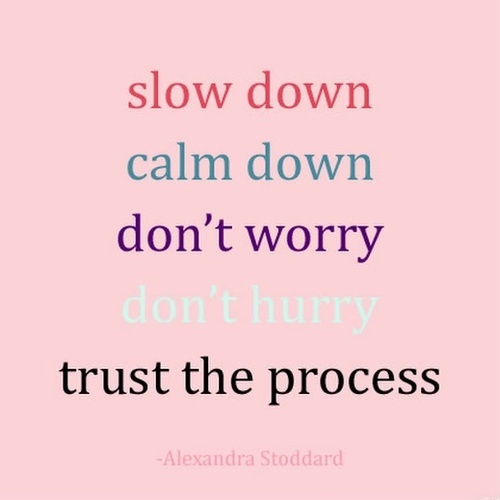 However, if you do feel that you will begin to slip up, allow yourself the flexibility and freedom to not put so much pressure on yourself to succeed in the job. Treat it as something fun instead of "work", which would alleviate stress that could possibly trigger a relapse. 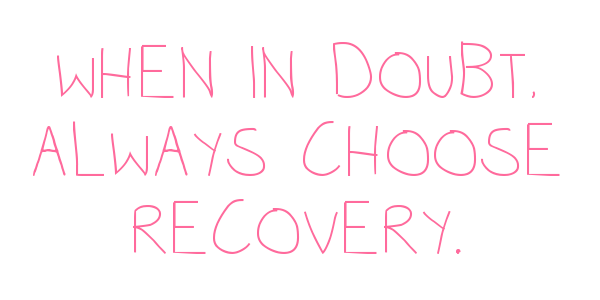 I think youre last picture said it all.... when in dout CHOOSE RECOVERY. the fact that you are already questioning it means that it IS a big deal to you. If you think it might in any way lead to you struggling ith a relapse, then i would steer clear and try to find something in another area instead. Does this golf course have a shop you could work in instead of the restaurant/bar?? Thanks girl! I think the fact that I am questioning it is a BIG deal too. This might just be a learning experience and it will help me stand up for myself and my recovery in the future. I just feel like I should be further along in recovery than this, but everyone is different. We all have different triggers and this is definitely one of mine. This is tough and your pros and cons are all legitimate. My suggestion would be this: Try for the job. If you get it, fabulous! You can TRY it. There is no harm in that. IF it becomes too much for you to handle or you feel yourself slipping back into your old ways, then simply quit. You won't be a quitter or a failure, you'll just have a better understanding of where you are in recovery and where food in masses and work in general stand with you. If you don't want to chance it at all, then don't. Listen to your gut because behind all the other loud, annoying, obnoxious voices is the one telling you exactly what you need to do; listen closely. Whatever you decide you're still making progress, because you're deciding what to do to better yourself and help in recovery even more! P.s. Keep me posted, I wanna know what you decide! Thank you so much, Miss Kenzie! That is really great advice. I just worry that if I do take the job and it doesn't work out then I won't be able to speak up. I also don't want to turn it away because I'm scared. Ugh, I'm tired of thinking about it haha. I've been reading your blog for a while now and am inspired by your honesty. We have very similar stories, I was in residential treatment for anorexia for 10 months in 2011/2012, and have been continuing outpatient treatment in Ann Arbor, Michigan. In January, I got a serving job... against the recommendations of my treatment team. I had been a server for many summers previously and wanted to give it another chance. I have had a really positive experience thus far. Yes, at times it is challenging to be around food for my entire shift, but at the same time it is really good for me. I have found that it is really helpful for me to see how "normal" people eat when they go out to restaurants. It is great for me to witness my customers (of all sizes) enjoying and indulging themselves in food, without being totally preoccupied about it. Additionally, I have found that my eating habits have slowly become less rigid, because I occasionally allow myself to try something new at the restaurant and have learned to really enjoy it. I know everyone is walking their own path, but I thought I would comment and give you my experience. Whatever decision you make, is the best decision for you at that time. Good luck!